Wrongful convictions are the result of faulty or false scientific evidence in 50% of the cases. Defense counsel is often at a great disadvantage in defending against evidence based on science. 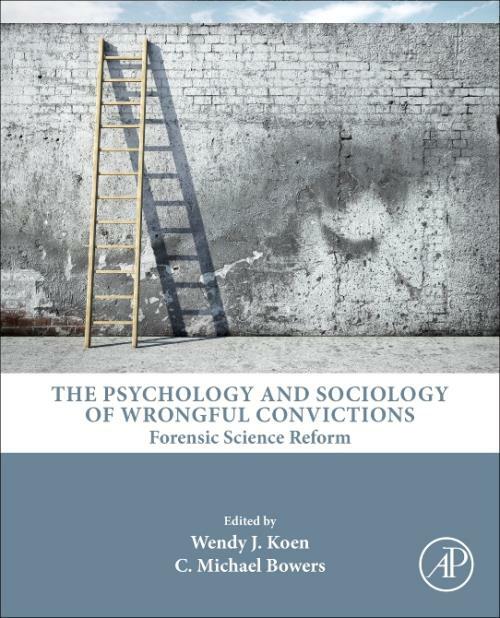 Illusory Evidence: The Psychology and Sociology of Wrongful Convictions is written for the non-scientist, to make complicated scientific information clear and concise enough for attorneys and judges to master. This is obtained by providing case studies to simplify issues in forensic psychology for the legal professional. Wendy J. Koen is currently in private practice in Southern California. Formerly with the California Innocence Project, Ms. Koen has been part of litigation teams that successfully represented many clients in wrongful conviction cases, including the successful exoneration of Timothy Atkins, Daniel Larsen, and William Richards. In addition, Attorney Koen's work was instrumental in changes to California's law concerning false expert evidence, and the inception of California Penal Code Section 1473 (e)(1), giving those convicted by faulty science a clear avenue for relief. C. Michael Bowers is an Associate Clinical Professor at the Herman Ostrow School of Dentistry at the University of Southern California, Los Angeles, CA. He is also the Deputy Medical Examiner in Ventura, California. Dr. Bowers is a practicing forensic dentist and consultant who has testified and worked on hundreds of cases where dental evidence has been involved. He is a former Diplomate of the American Board of Forensic Odontology, a Senior Crime Scene Analyst for the International Association for Identification (IAI) and has written other articles, chapters and books on forensic dentistry. He owns and operates his own dental practice in Ventura, CA.